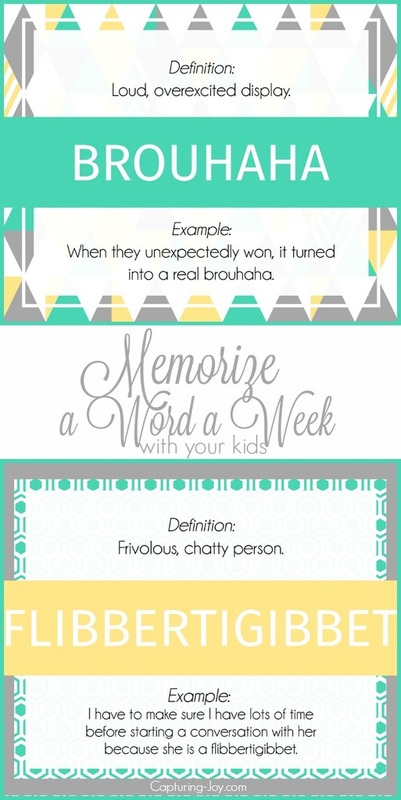 It’s the beginning of the month, and I’ve got a new set of words to memorize with your kids! Just a fun little activity to have quality time together, while learning and being silly, too. I’ve loved hearing from people who are using them in their families, some find it a great way to have fun via text while living far apart. You can grab the other sets in the memorize series section of my site. To download this months set, grab the PDF and print and hang! If you joined us later, you can grab words I’ve shared from others months, it doesn’t matter when you do them!